Reliance One would like to thank our customers and our employees for a great 2013! Reliance One Staff has teamed up with the Carson’s located at the Village of Rochester to make dreams come true. Come visit our staff on Saturday December 21st or Sunday December 22nd from 1:00pm – 5:00pm to have your holiday gifts wrapped in exchange for a donation. You will be able to save time while helping to sponsor a child’s wish through the Rainbow Connection. This will be the 2nd year that Reliance One Team Members are donating their time to wrap gifts in hopes of helping a child in Michigan with a life threatening illness. “We chose the Rainbow Connection for our company fundraiser as we wanted to support local children and their families. Community service is a great way for our employees to work on team building while giving back,” said April Rheingans, Fundraising Coordinator. Reliance One is more than half way to their goal of sponsoring a dream and your contribution can make a difference. We hope to see everyone there! The event will be hosted on the 2nd floor of Carsons – 400 N Adams Rd, Rochester Hills, MI 48309. 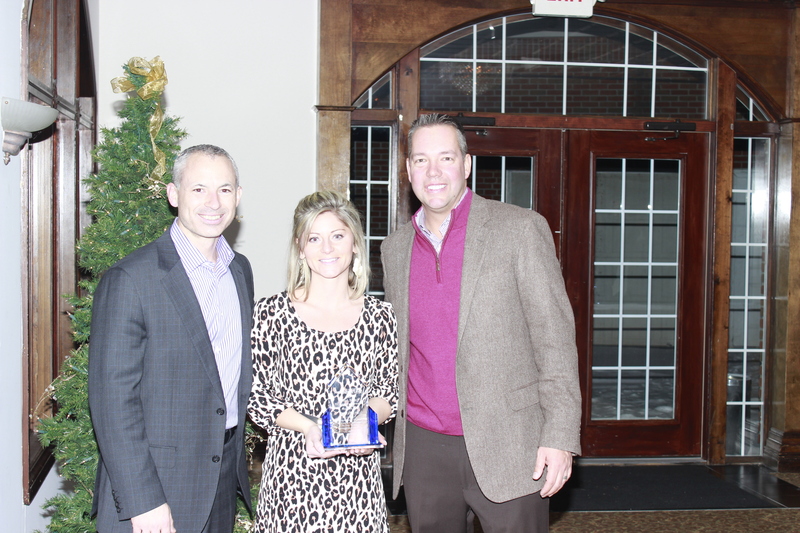 In addition to being named for the Auburn Hills Award, Reliance One presented Kate with their “Visionary Award” over the weekend. This is a very prestigious award that is given to those that exemplify what it takes to be a leader at Reliance One. In just two short years, Katie launched herself from an entry level position to a manager that is leading in the company as well as their community. It is an honor to have Katie on the Reliance One team and we look forward to watching her grow in the years to come. The Best Is Yet To Come – Celebrating 15 Years! PRNewswire – Reliance One, Inc., a Michigan based staffing and recruiting firm, is proudly celebrating 15 years of solving staffing challenges for our clients and providing jobs to thousands of people. Over the past 15 years, Reliance One has been developing and supporting complete staffing solutions that meet the highly demanding and complex requirements of its clients. Reliance One has established itself as a true partner for building teams and assisting with workforce flexibility. Since its inception in 1998, Reliance One has grown from two employees, current President Jim Beath and Vice President Jim Paquette, who were working out of a home in Flint, Michigan to a company with over 60 internal employees and over 1300 contactors onsite with clients. “This is an exciting time to be in the staffing industry and our clients have never needed our services more than they do right now, said Jim Beath, President of Reliance One. Reliance One relocated its headquarters to Auburn Hills in March of 2012. “We purchased a 22,000 square-foot building in Auburn Hills and created a state of the art recruiting center for our clients and employees. The building is designed with the latest technologies and the layout is perfect for what we do – putting people to work,” said Beath. Reliance One, stronger than ever at its 15-year anniversary, continues to be committed to provide high-quality staffing solutions and services. The best is yet to come.